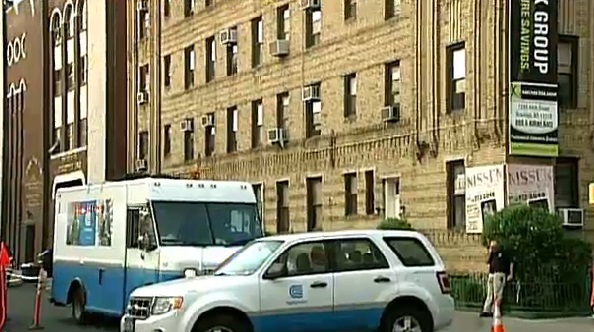 Brooklyn, NY - Con Edison is reminding New Yorkers to be energy efficient. On Friday morning, the utility’s website showed some scattered outages around New York City and Westchester County. outages were reported in Borough Park section of Brooklyn on 50th Street from 13th Avenue to 15th Avenue which has affected nearly 600 residents. Con Edison said late Thursday it had reduced voltage in several Brooklyn and Queens neighborhoods because of problems with electrical equipment. It sent a community outreach van to Borough Park. —Set your thermostat to 78 degrees or higher. —Keep your air conditioner filter clean. —Close off rooms that are not being used. —Turn off unneeded lights. Use a timer for appliances. —Use your oven, washer, dryer and dishwasher in the early morning or late at night, when it’s generally cooler. I don't get it -- shouldn't Con Ed know that summer shows up every year? Why aren't they prepared? We pay through our noses for electricity, there should be enough juice when we need it! I was disturbed when I got the call last night asking me to shut all non-essential appliances INCLUDING AIR CONDITIONING! So here we all are, בשנת תשע"ב, living in the most highly developed area of the most prosperous nation ever to be on the face of this planet, and we are still faced with power outages when the thermometer goes a few degrees higher than usual. “ So here we all are, בשנת תשע"ב, living in the most highly developed area of the most prosperous nation ever to be on the face of this planet, and we are still faced with power outages when the thermometer goes a few degrees higher than usual. Maybe NY isn't that developed as you think. The power was lowered so much that our bedroom ac just did not want to work and we were good. We raised the thermostat to 75 (I refuse to put it at 78). I slept on our living sofa bed. Needless to say I did not get too much sleep. Every year Con Ed has the same issue. Doesn't someone there understand that summer arrives every single year but somehow they are never prepared. I understand if a breaker fails but I certainly hope there will be no repeat like the issue they had in Queens a few years ago. WAKE UP CON ED--- don't ask us for a raise in our bills--we pay more than our share but it seems that you aren't doing YOUR share. Fix up your infrastructure and maybe your systems will work better. You people always seem to wait until there is an actual problem. Well, GUESS WHAT-- we have an actual problem each year. Bear in mind that there are people out there who need their electricity for various medical reasons. If it was one of YOUR loved ones, would you want to subject them to no electricity?? I think not. Klal Yisroel--have a wonderful and cool Shabbos. We've been discussing this for years. Nothing is simple and we've been getting energy costs going up regularly. Sure it costs but we've been paying and paying and paying - time to put that to work! Does anyone know if its gona be fixed for shabes? On there site they say its gona be restored 6 00 Pm is it relieble? They changed already twice last night they said 2:00 AM, then 2:00 PM. Time to build a few Nuclear Power Plants in Brooklyn to deal with demand! It's a chutzpah telling people that air conditioners and fans are 'non-essential' and should be turned off to conserve power on days that the temperature nears 100 degrees. This past week we're having the first heat wave of this summer and Con Ed can't handle it, Hashem help us all during August when the temperature has been high for weeks on end. Why is it that the hard working middle class in Brooklyn and Queens suffers? Why aren't there problem on the upper East Side? You can be rest assured that the luxury condos in Manhattan keep their thermostats at 68. We apologize for the lack of electricity. We didn't know that summer will happen. We were too stupid to realize that just because it has happened for the previous 5771 years, that it would happen yet again. Folks, its really time for people to begin raising holy g'henim in locations where there are power issues. There is NO reason for this to occur. There is SOOOOO much energy out there, for it not to be provided (don't they get paid for usage anyway?!?!) is criminal! #12 i have family in manhattan and when the blackout occured a few years ago they were turned back on later than the other boros. Keep in mind that the new hall is pulling lots of power, maybe it should take into consideration to get there own wiring!? BTW its only that area that it happened to, maybe it is the new hall pulling too much energy and they should get there own generators? There are some issues that complicate the speedy, short-term solution to the energy distribution problem. Even If Con Ed had an actual plan of action. Most people are opposed to major power producing or distribution equipment in their own neighborhood. Not to speak of the (extremist) environmental groups, who try to stop the rebuilding or increasing the infrastructure through legislative methods. Will your apartment be cool (And you happy) when you hear or read in the news that the condos on the Upper East Side are sweltering? !